The countdown has begun, the Coca-Cola is on ice and the clock is ticking. 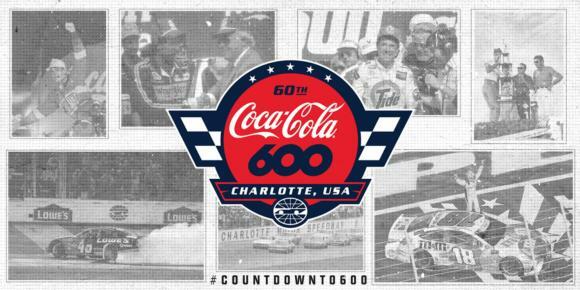 Starting at 9 a.m. on Wednesday – officially marking 60 days before the 60th running of the Coca-Cola 600 – Charlotte Motor Speedway will unveil an exciting, innovative #CountdownTo600 initiative on social media. America’s Home for Racing will feature special ticket offers, exciting speedway news and exclusive video content on its social media channels from 9 a.m. to 5 p.m. Fans tuning into Twitter, Facebook and Instagram will also have a chance to win special Coca-Cola 600- and speedway-related merchandise. Fans can follow long with everything related to Charlotte Motor Speedway’s #CountdownTo600 initiative by using the #CountdownTo600 hashtag, following on Twitter and Instagram and becoming a Facebook fan.